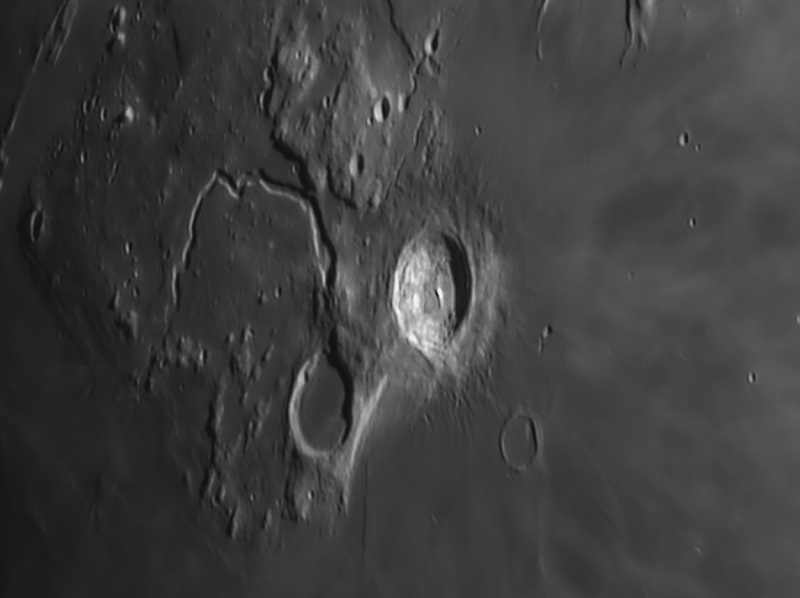 Below an image I made of Aristarchus, Vallis Schröteri and Herodotus. Equipment is my CFF CC300 f//20 paired with a ASI 224MC and Astronomik Proplanet 807 IR pass filter. Seeing was less than optimal showing in some softness of the image. Despite this there is more clearly visible detail as opposed to the ASI 174 in better conditions at same focal length. Enjoy the image, feel free to comment. Is it possible that the picture is slightly out of focus? Also, if ya want, post pics of your rig ! Regarding focus it's hard to tell. I guess the image is in focus, but the bad seeing may have blurred the image a bit. When seeing is bad it is also much harder to focus the image. For my setup have a look at this picture.